After Jones completed the score for the 1964 film The Pawnbroker, he contacted lyricist Jack Lawrence to help him write a popular song for the film. 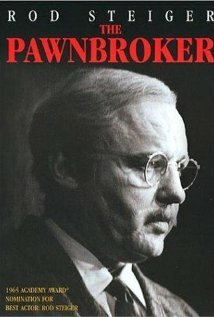 The film starred Rod Steiger as Jewish pawnbroker who survived Auschwitz, but lost all his family and friends and then his faith in mankind and God. With help of a young assistant, played by Jesus Ortiz, the pawnbroker finally comes to terms with the horror of his past and starts to feel again. How could I pawn this heart that still loves you? “The Pawnbroker” was recorded on December 14, 1965 and released in 1966 on The Movie Song Album. It was arranged by Quincy Jones.